Peaceful greetings. How was everyone's (in America) long holiday weekend? I hope it was well spent with good people in your life. I absolutely loved my long weekend. It was the perfect balance of time with family, friends and myself! I ate all the Thanksgiving goodies like stuffing, turkey, rolls and sweets and still managed to maintain a flat stomach! I think it helped that my portions weren't crazy and I didn't eat until I looked three months pregnant. I was thoroughly impressed with myself and that kept me pumped to make sure I exercised over the break and I did. I ran 5K both Saturday and Sunday breaking my personal record before for completing it each day. Today, is rest day. But let's talk about my hair. I had the absolutely best hair day on Turkey Day. The night before I set my hair with Sweet Nature by Eddie Journey Hair Milk (this is my favorite hair moisturizer in life! It just does so right by my hair.) 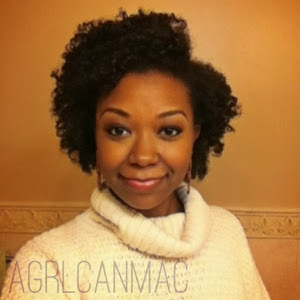 and Eco Styler gel-the olive oil one (I'm almost done using it up so I can switch over to a more natural and healthier gel option) into about 6 or 7 flat twists and bantu knotted the loose ends. The next day about 2 hours before heading out to my Thanksgiving dinner destination, I coated my palms and fingers with EVCO (extra virgin coconut oil) and took my hair down. 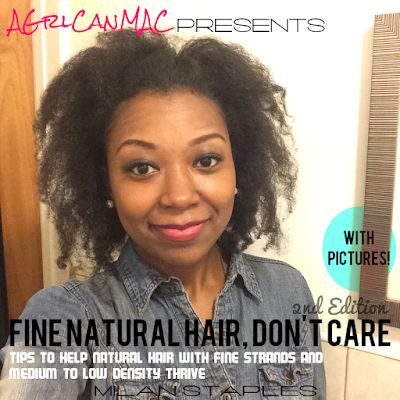 This gave my hair a nice sheen boost overall. Because I'm a medium density diva with fine strands, a hair pik is my best friend to give my locks a volume and fullness boost, so I lightly separated and fluffed my hair and used a pik at the roots. I was totally feeling myself! It gave me such a pretty curly look, I was so happy with the results. I snapped quite a few pics but I'll spare you and just share these. 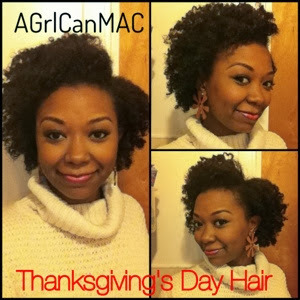 How did you wear your hair for Turkey Day? Any special way? Though I didn't partake in Small Business Saturday, I hope that some of you did and that you give some small accounts a little more stimulation today since it's Cyber Monday. Many of them are offering awesome discounts and deals, please support them if you have the means to do so.